Fourth grade students at Reverend George A. 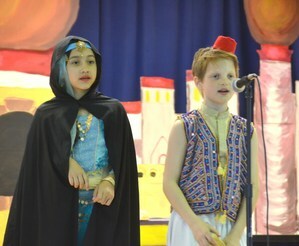 Brown Memorial School have watched the movie “Aladdin” so many times that they can’t even count anymore. 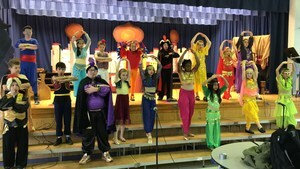 On Saturday, these fourth graders have the task of re-enacting one of their favorite movies of all time when they present the musical version of Disney’s “Aladdin Kids” at 1 and 4 p.m. at McKenna Hall. SPARTA — Fourth grade students at Reverend George A. Brown Memorial School have watched the movie “Aladdin” so many times that they can’t even count anymore. They know every part, the main characters, all the costumes, how the characters talk and the overall meaning of the movie. 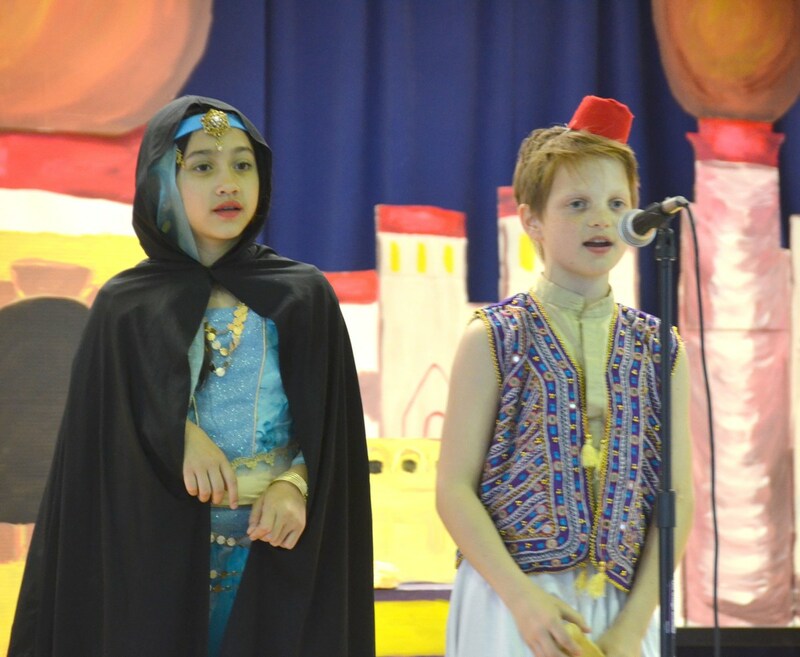 On Saturday, these fourth graders have the task of re-enacting one of their favorite movies of all time when they present the musical version of Disney’s “Aladdin Kids” at 1 and 4 p.m. at McKenna Hall. The students are presenting the musical based on the 1992 animated film in which a poor street urchin, Aladdin, tries to woo the beautiful Jasmine, the daughter of the Sultan of the land of Agrabah, by using three wishes he was granted from Genie. The film won many awards, including two Academy Awards for Best Music, Original Score and Best Music, Original Song, and is currently on Broadway. In their time preparing for this musical, the students have learned a few lessons about this play. The biggest one is the fact that it is a lot harder to do than it looks on TV or on Broadway. 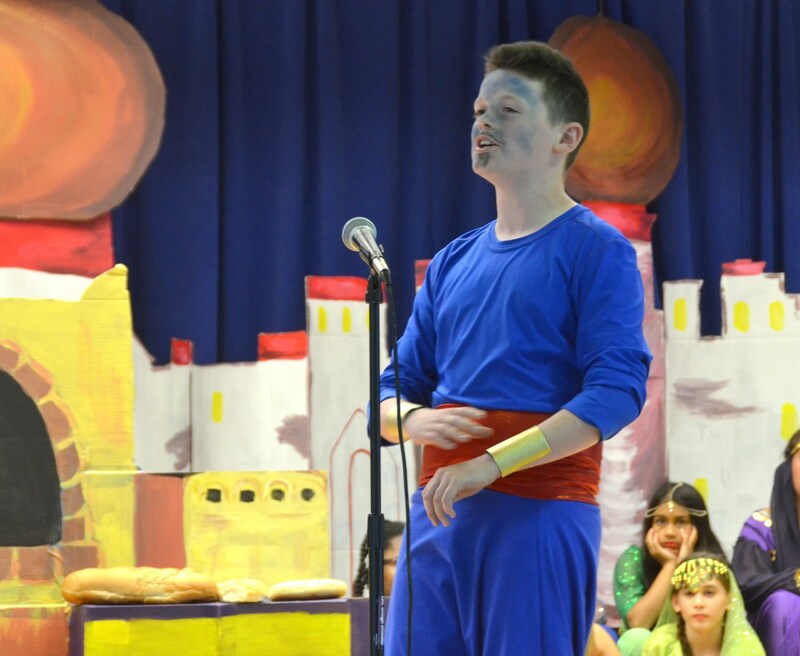 “You see how difficult it is to just act out every move and every line that they have to do,” said Tate Elvin, who plays Aladdin. Another thing they have taken away is that they have developed a love of acting. Reverend Brown music teacher and play director Mrs. Deborah O’Brien said the students have worked really hard preparing for this play, which is one of their biggest events of the school year. As they do their last-minute rehearsals and preparations for their two shows on Saturday, the students are looking forward to performing under the bright lights and giving the crowd a great rendition of their favorite movie. When: Saturday, 1 p.m. and 4 p.m. Cost: Tickets are $10 for adults/$5 for students. Children ages 4 and under are free on an adult’s lap. For tickets, please contact katie.elvin@yahoo.com or purchase them at the door.